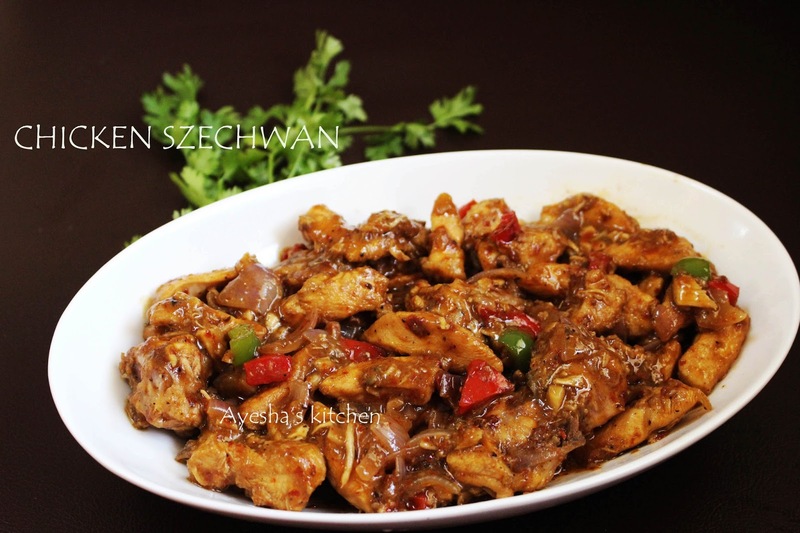 Szechwan chicken is a spicy Chinese chicken dish where the fried chicken is tossed in spicy, hot and flavorful schezwan sauce. Schezwan / Szechwan / Szechuan cuisine is a style of Chinese cuisine originated from Sichuan province. Chinese cuisine is very popular for their Hakka noodles, soups, Chinese fried rice which are so yummy and delicious appetizers. 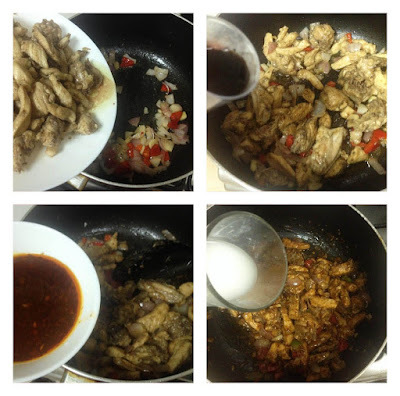 The other popular dishes are Kung Pao chicken, Schezwan chicken and cashews etc. This chicken dish is mainly served with rice and vegetables which is a popular recipe from Schezwan cuisine. It is famed for its bold flavors especially the spiciness from red chilies. It is very simple in preparation if we have schezwan sauce / szechwan sauce which is prepared ahead of time. Here I made this dish with home made schezwan sauce / szechwan sauce. 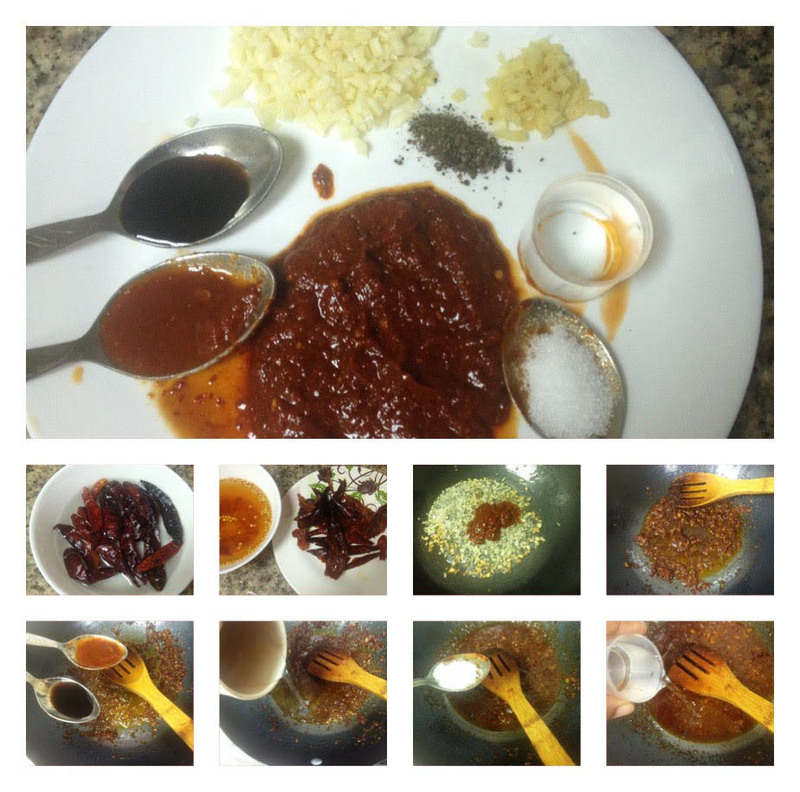 This sauce too is so simple and ease in making with very few handy ingredients. 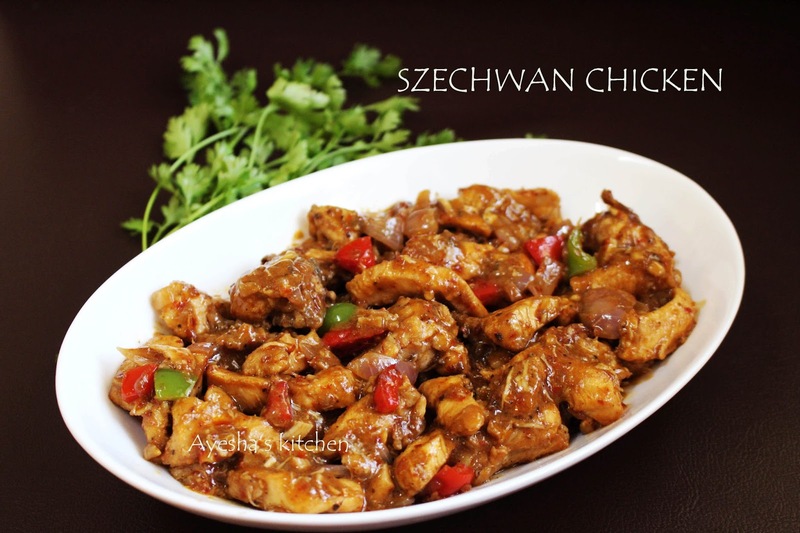 Do try this exotic special szechwan chicken recipe. You will really enjoy its taste. Marinate the finely sliced or cubed chicken pieces with the ingredients under marination and keep refrigerated for 15 minutes. Then either you can deep fry or else you can shallow fry these pieces until done. Do not fry until crispy. Set aside and drain the excess oil. Now heat a wok with some oil (2 tsp or more). Toss onion, garlic and bell pepper for 3 minutes. 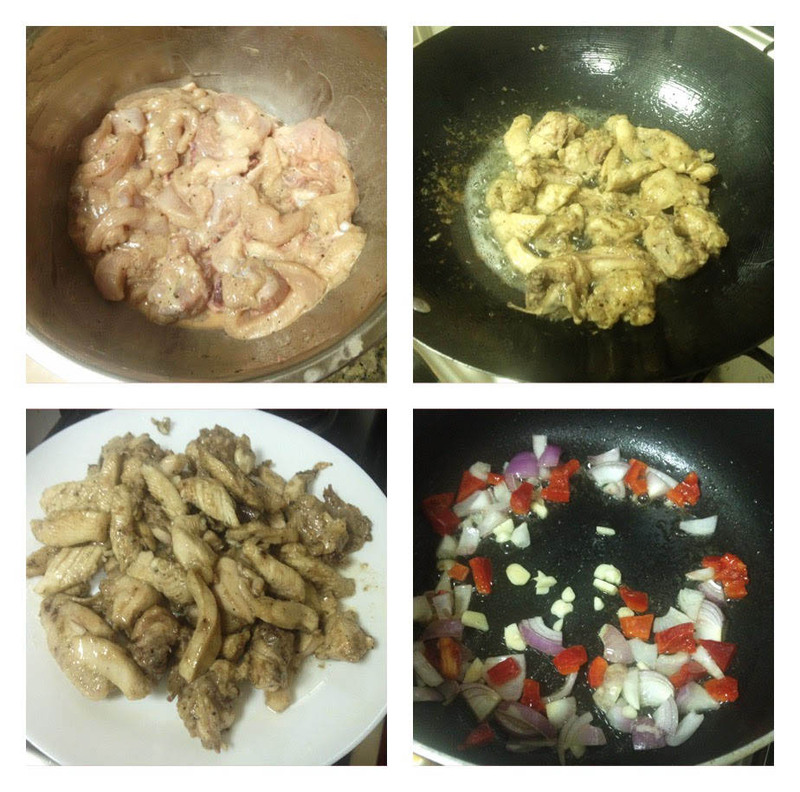 Now add the fried chicken pieces to it. Toss well for a minute. Then add soy sauce, szechwan sauce and mix well gently. Let it cook for a minute and then add sugar. Check for salt. Now pour cornflour water( 1 tsp of cornflour mixed in a quarter cup of water). Mix well and let it cook for 2 minutes or until thick. If you want more gravy, can add little more cornflour mixed in water. Remove from flame and serve hot with rice or chapathi or fried rice. Heat oil in a nonstick wok and saute chopped garlic. Always make the flame medium low while sauteing. Then saute ginger chopped. When the raw smell disappears, add the chili paste (5 tbsp) and saute very well in a low flame until the oil separates. Stir continuously. Now add soy sauce, tomato sauce and stir well. Finally add half a cup of water along with vinegar, sugar and let it cook until the sauce becomes thick, stirring continuously. Add a pinch of salt.